The department was well-represented at the month-long Institute in Ann Arbor this past summer. Three courses were taught by current department members: “Quantitative and Computational Phonology” by Bruce Hayes, “Articulatory Phonetics” by Pat Keating, and “Language Typology” by Ed Keenan and Laura Kalin. Three more courses were taught by department alums: “Introduction to Morphophonology” by Adam Albright (PhD 2002), “Linguistic Diversity and Language Change” by Lyle Campbell (PhD 1971), who was also the Institute’s Hermann and Klara H. Collitz Professor, and “Agreement and Word Order in Minimalist Syntax” by Vicki Carstens (PhD 1991). Other current members and alums participated in some of the many workshops hosted by the Institute: Marjorie Chan (postdoc 1985-1987), Adam Chong , Robert Daland, Christina Kim (MA 2006), Kuniko Nielsen (PhD 2008), and Amy Schafer (postdoc 1998-2001). From June 24-28, I was teaching two classes in the LOT Summer School — Prosodic Typology and a Master class on Prosody and Its Interface with Other Sub-areas of Linguistics. This year, the LOT Summer School was hosted by the Groningen University, the Netherlands. I wrote a book! It’s called The semantics of evaluativity and will be coming out next year in Oxford University Press’ “Studies in Theoretical Linguistics” series. I’ll be presenting in November at the Michigan Philosophy and Linguistics Workshop (“”Illocutionary mood and speaker attitude”), and I just had a paper (“Similatives and the degree arguments of verbs”) published in Natural Language and Linguistic Theory. Russ Schuh taught the department’s first online course, Ling 1, this past summer. It was very well-received and had a very high enrolment! I was project manager for the US English Speech Data team at Google over in Venice, which basically involved managing all kinds of language data annotation for use in speech recognition and text-to-speech research. 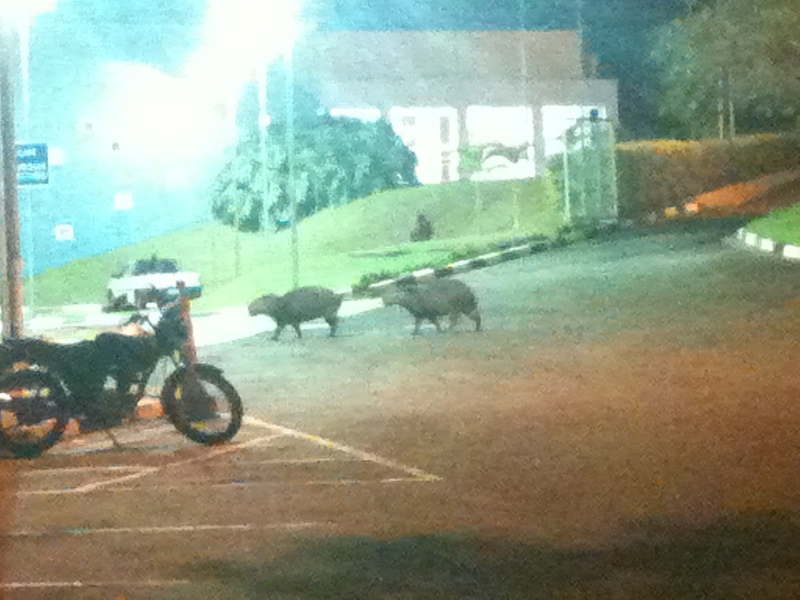 This grainy photo shows some of the capybaras who graze at night outside the Visiting Faculty House at UNICAMP. 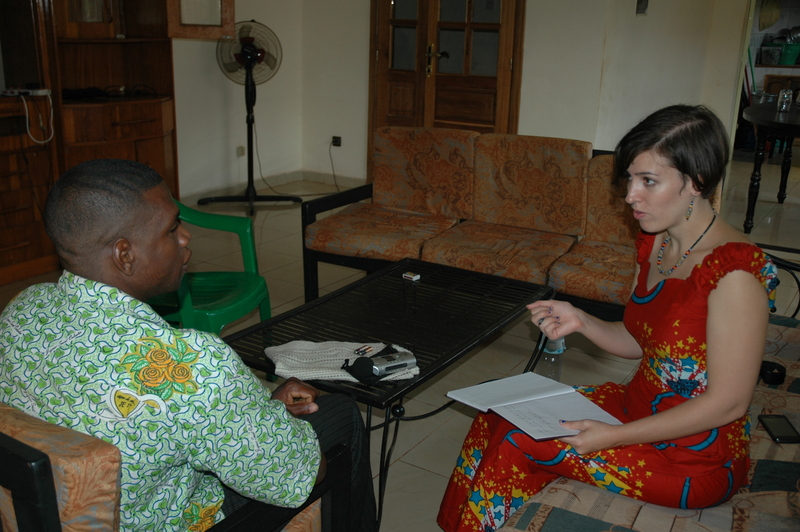 This summer, I received a Lenart Graduate Travel Fellowship to do fieldwork in Cairo, Egypt. I planned to be a visiting scholar at the American University in Cairo for a little over a month. About a week into my trip protestors took to the streets. Bob Williams (UCLA PhD Applied Linguistics; 1995) graciously welcomed myself and my travel companion into the safety of his home outside the city. As the political situation heated, I elicited as much data as I could. I convinced consultants to meet me outside of the city and continued elicitations until the night before we were evacuated to Barcelona by the UC. I spent the summer doing semantic fieldwork for my MA on Warlpiri, which is spoken by approximately 3,000 people in central Australia. 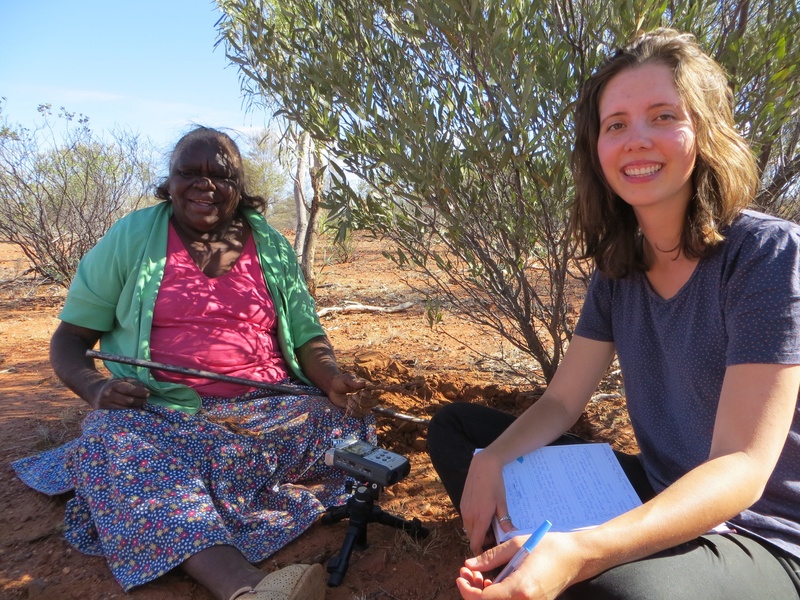 I worked with Warlpiri speakers in Yuendumu, NT for just under three months. Yuendumu is a remote Warlpiri community 300km northwest of Alice Springs. This is a picture of me and one of my consultants; we took it while we were out on a hunting trip for witchetty grubs.